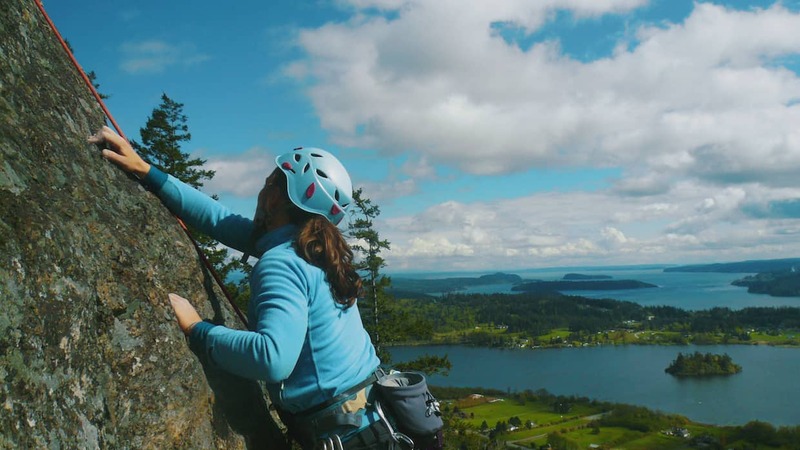 Anacortes Kayaking & Rock-Climbing Adventure–Enjoy our Sea to Sky adventure! Explore the best of both worlds. We have teamed with Mount Baker Mountain Guides to bring you two trips from Anacortes for a kayaking and rock-climbing adventure. In both trips you will climb the beautiful rock faces along our coast and explore the coastline from your kayak. See details below. Anacortes, the San Juan Islands, and Deception Pass are some of the most beautiful areas in Washington State. Anacortes Kayak Tours and Mt. Baker Mountain Guides have teamed up to bring you a unique, fun adventure combining rock-climbing and sea kayaking. Two trips are available to ensure one will fit your schedule and budget. 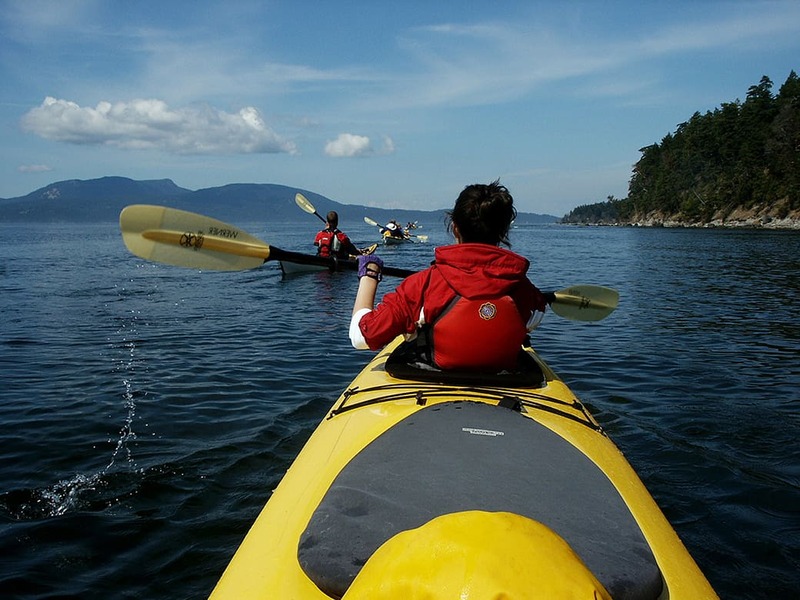 Our kayaking and rock-climbing package includes a fun day of guided kayaking around beautiful islands near Anacortes or in Deception Pass State Park, as well as a half day of rock climbing at Mt. Erie. Let our knowledgeable guides show you both the reefs and the ropes. 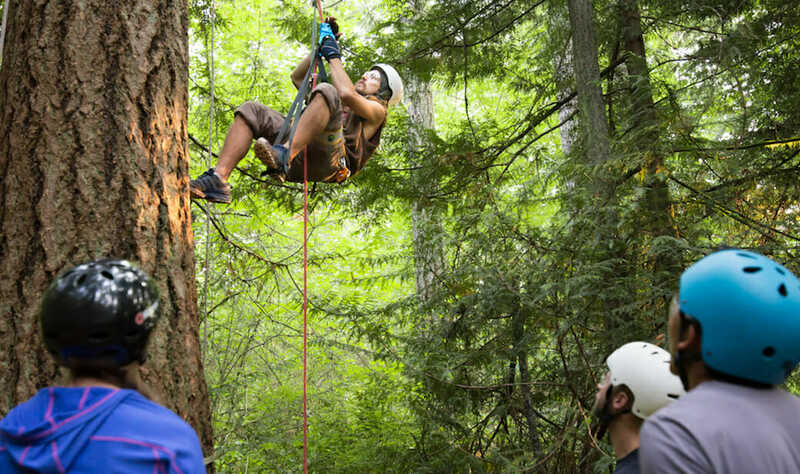 from sea life, to mountain scenery, you’ll get an up close and personal experience with the most exciting activities the Northwest has to offer! 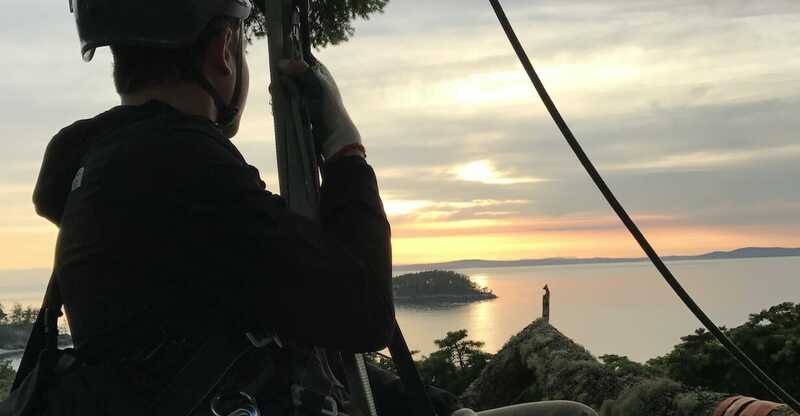 From your perspective on Puget Sound, you can gaze up at the cliffs you climb on — And from the top of Mt. Erie, you can look down upon the coastline your kayak trip traverses! Our kayaking and rock-climbing adventure is designed to be family friendly and accessible for all. Packages can be booked through either Mt. 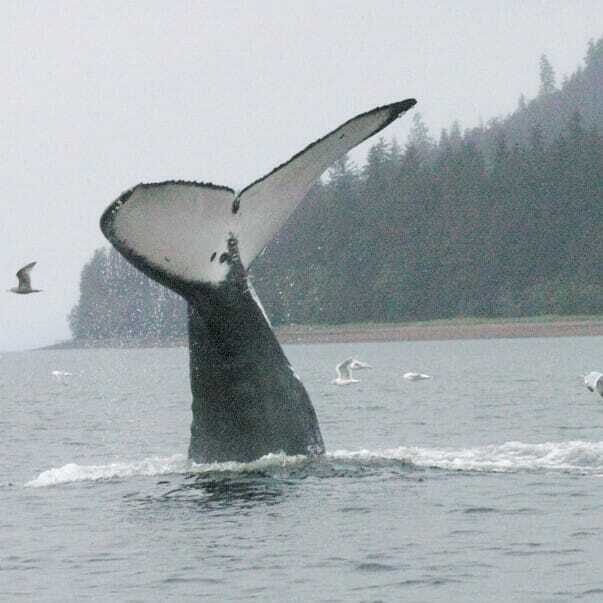 Baker Mountain Guides or Anacortes Kayak Tours. Come join us on this unique Sea to Sky adventure! Single Kayak option available for Half Day trips only.